Clinic Synopsis: Learn real world strategies from two directors who team-teach 7 orchestra classes, 345 students, plus AP Music Theory every day. Topics covered will include recruitment, retention, scheduling, work-life balance, working with an assistant, and how to promote success. 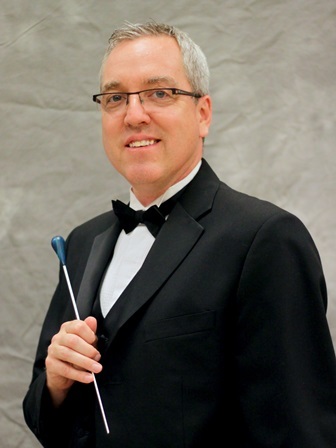 Clinician Biographical Information Perry Holbrook holds a Doctorate of Musical Arts degree from the University of Minnesota, a Masters of Music degree from Arizona State University, and a Bachelor of Music degree from Wichita State University. He received his teaching credentials from the University of Georgia. Dr. Holbrook has spent the last fifteen years of his eighteen-year career at Walton High School. Since his arrival, orchestra enrollment has continued to increase from 130 to 345 string students. His groups have received four invitations to perform at The Midwest Clinic (2001, 2005, 2008, 2012), have received two invitations to perform at the ASTA National Conference (2009, 2012), and have performed five times at the Georgia Music Educators Association In-Service Conference (2001, 2003, 2006, 2009, 2012). Dr. Holbrook’s groups have also traveled and performed internationally, participating in two European concert tours (2004, 2007, 2015). Dr. Holbrook is active as a guest conductor. Summer conducting engagements have included the Sewanee Summer Music Festival (2011, 2012, 2014, 2015) and the Orchestra America Summer Symposium (2006, 2007). He has guest conducted honor groups in Texas, South Carolina, and Georgia. Dr. Holbrook has presented clinics at the Midwest Clinic (2006); the ASTA National Conference (2004, 2009); the Georgia Music Educators Convention (2006, 2010); and the Texas Music Educators Convention (2005). In 2007, he was the featured clinician at the Texas Music Educators Association Convention, presenting a series of five clinics. In addition to teaching orchestra, Dr. Holbrook teaches AP Music Theory. He was named the S.T.A.R. teacher of Walton High School in 2004. Dr. Holbrook lives in Marietta, Georgia. His daughter, Bailey, is a cello performance major at Indiana University. In his free time he can usually be playing tennis or cycling. Second Clinician Biographical Information Sara Grimes is in her sixth year as Assistant Director of Orchestras at Walton High School in Marietta, Georgia. As a graduate of Walton, Mrs. Grimes is proud to be teaching at her alma mater. Mrs. Grimes’ prior teaching experiences include Barber Middle School in Cobb County and West Laboratory Elementary in Miami-Dade County, Florida. Additionally, she was the graduate teaching assistant at the University of Miami and taught undergraduate string techniques. 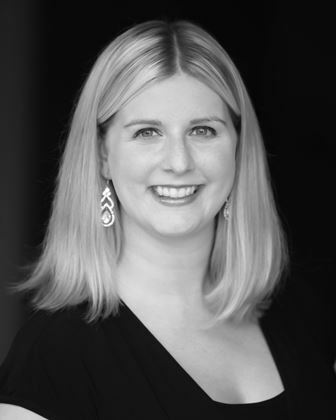 Mrs. Grimes holds a Bachelor of Music in Music Education from the University of South Carolina and Master of Music in Music Education from the University of Miami with cello as her primary instrument. She presented a session at the Florida Music Educators Association Conference in 2009, and presided over sessions at American String Teacher Association conferences in 2008 and 2009. Her thesis research, “Assessment Practices of String Teachers” won first prize at the University of Miami Research Symposium. Mrs. Grimes is a member of NafME, GMEA, ASTA, Pi Kappa Lambda, and has been recognized as a Presser Scholar. Mrs. Grimes and her husband, William, a middle school band director, live in Marietta, Georgia with their toddler, Charlie. In her free time, she enjoys reading and golfing.